Richmond, Virginia – The U.S. Marshals Service is warning the public of a phone scam involving a man posing as a U.S. Marshal. The man reportedly identifies himself as a U.S. Marshal while calling victims to advise that he or she has missed federal grand jury but can avoid arrest by paying a fine immediately. There have been several reported incidents of this scam taking place in Hampton Roads. The Marshals Service became aware of the scam after receiving several calls from citizens in the Norfolk area. “This scam has been replicated in other cities in the state and around the country, and we want the public to be aware of this criminal activity”, stated U.S. Marshal of the Eastern District of Virginia Robert Mathieson. The U.S. Marshals Service said they do not seek payment of fines or fees via the telephone for individuals. They urge the public not to divulge personal or financial information to unknown callers. They also recommend the public report similar crimes to the FBI or their local police or Sheriff’s office if they are the victims of fraud. 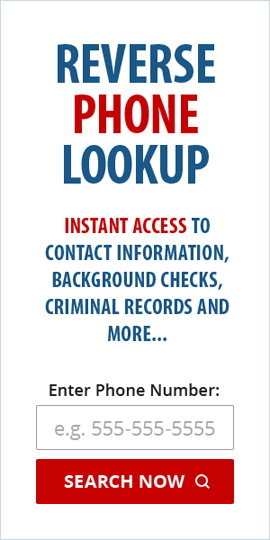 If your instinct is telling you that a specific phone call you received is not genuine OR you keep getting prank calls from the same number, you can use reliable reverse phone lookup providers to investigate the owner of any cell or landline number in the USA.